After a period of many roumors about the artist who will represent Greece in Eurovision 2017 it's finally clear that the greek representative in Kyiv will be Demy. As recently reported in the greek media, ERT the national broadcaster of Greece has finally come to a decision and the young greek popstar will give her best on the stage of Kyiv. 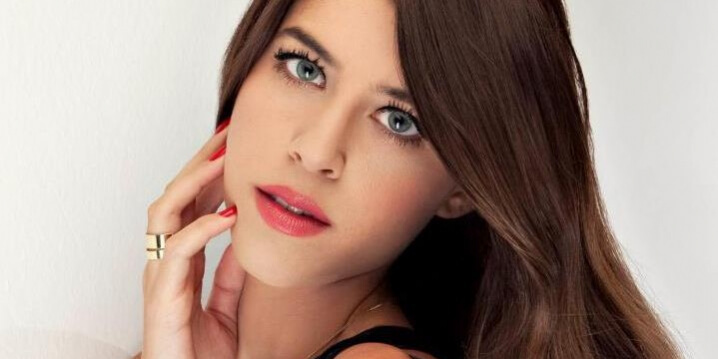 It seems that Demy is going to sing three songs in English in a special show of ERT in which it will be decided, which one of these will be the official entry of Greece in Eurovision 2017, but more details will be given in the official announcement from ERT. Dimitra Papadea (Δήμητρα Παπαδέα), or better known as Demy, is a 25 year old Greek singer who has gained huge success the latest years. She was born in Athens, Greece in 1991, and already at the age of five, Demy started taking piano lessons, and later also vocal lessons. She has been influenced by Jazz, Soul, Rock and Roll, and RnB. At the 2012 MAD Video Music Awards, she won the award for Best New Artist and 2 other awards. The following years she won various music awards for her work. Apart from singing, she is a law school student in Athens. All the songs are composed by Dimitris Kontopoulos and the performance on stage will be directed by Fokas Evangelinos, so the expectations are very high considering that these artists are mentioned as "the dream team" for the Eurovision. Ukraine 2008: Ani Lorak – "Shady Lady"
Greece 2009: Sakis Rouvas – "This Is Our Night"
Azerbaijan 2013 : Farid Mammadov – "Hold Me"
Russia 2014: Tolmachevy Sisters – "Shine"
Russia 2016: Sergey Lazarev – "You Are the Only One"
Greece 2004: Sakis Rouvas – "Shake It"
Greece 2005: Helena Paparizou – "My Number One"
Russia 2006: Dima Bilan – "Never Let You Go"
Belarus 2007: Dmitry Koldun – "Work Your Magic"
Russia 2008: Dima Bilan – "Believe"
Azerbaijan 2013: Farid Mammadov – "Hold Me"
Greece started its Eurovision adventure back in 1974, and has been participating in the contest 37 times until now. They won Eurovision Song Contest in 2005 with the song "My Number One" performed by Helena Paparizou. Since the victory they have been very successful in Eurovision. Greece has qualified for the Grand Final 12 out of 13 times (only missed the Grand Final last year). Well done Greece! Since 2004 they have ended in top-10 nine out of 13 times. They never finished last in the contest.